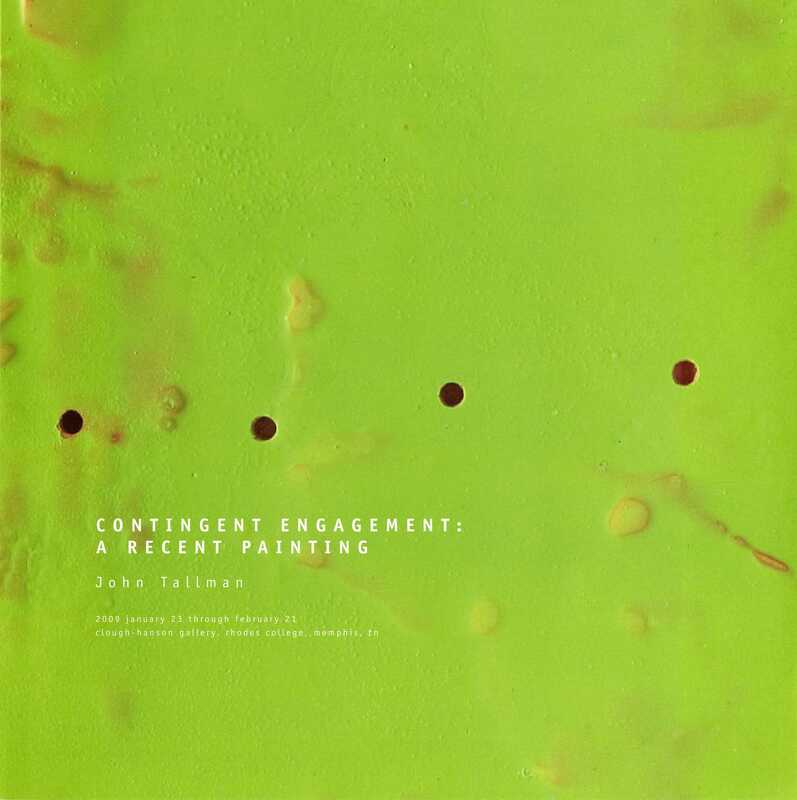 This is a digital copy of the exhibition brochure for Contingent Engagement: A Recent Painting. The exhibition featured paintings created by John Tallman, and it was exhibited in Clough-Hanson Gallery January 23 - February 21, 2009. The ehxibition brochure contains several color images of the artist's work, an artist statment, and a short essay written by Hamlett Dobbins. 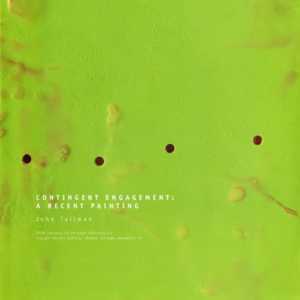 “Contingent Engagement: A Recent Painting Exhibition,” Rhodes College Archives and Special Collections, accessed April 23, 2019, http://archives.rhodes.edu/items/show/370.